Morgan Gibbs-White was 12 years old when Wolves last played Arsenal in the Premier League in 2012. 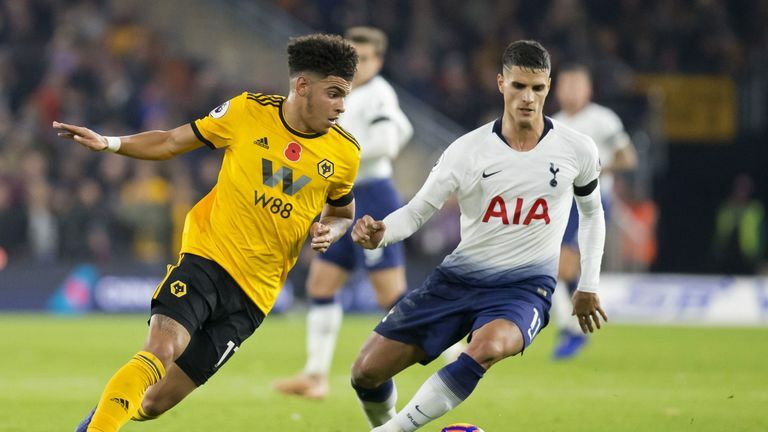 Six years on, the 18-year-old will hope to face the club he loved to watch growing up when Wolves visit Arsenal on Sunday, as he looks to build on his impressive display off the bench against Tottenham last Saturday. One of eight players born in the year 2000 to feature in the Premier League, Gibbs-White describes himself an "athletic, powerful midfielder", but what ambitions does he hold for the future? And which player did he idolise growing up? 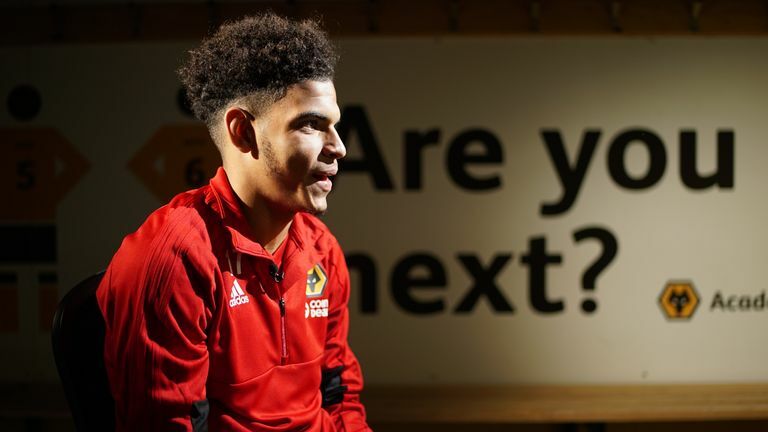 Born in the year 2000, which player did Wolves youngster Morgan Gibbs-White idolise growing up? And what is his first Premier League memory with Wolves in? Gibbs-White, a six-month-old when England crashed out of Euro 2000 in the group stages, idolised Manchester United legend Paul Scholes when he was growing up. "My idol growing up was Paul Scholes, it was just the way he kept things ticking in midfield and could pick out a pass from anywhere. "When I was growing up I used to watch him and how he played, and I sort of try and add that to my game today. My idol growing up was Paul Scholes, it was just the way he kept things ticking in midfield and could pick out a pass from anywhere. "The first memory of Wolves in the Premier League was when we beat Liverpool. We were ballboys that game and I used to remember thinking, 'I wish I was playing'. "I loved watching Arsenal and City are another team that are beautiful to watch, it's a dream to come up against these sorts of teams." "I've just got to stay humble and keep proving myself, hopefully the [U21] call-up might come. "What Southgate is doing for the boys now is tremendous. The boys do deserve it. Sancho is out in Germany scoring and assisting left, right and centre, so the boys do deserve it. "When I was a kid I used to say to my dad before training, 'Dad, one day I want to make my Premier League debut and one day play for my country'. "I'm en route to that now, I've made my Premier League debut and hopefully in years to come I can make my international debut as well." Gibbs-White started both of Wolves' Carabao Cup games this season, but is yet to start a Premier League game, having come off the bench five times. "I believe I'm ready but it's all about timing. I can't expect anything because I've got Moutinho and Ruben Neves in front of me - two Portuguese internationals both with a lot of good experience. "I've just got to bide my time and I'll know when my chance is ready, and I'll be ready to take it when it comes. "[I'm learning] ridiculous amounts, learning every single day in training, not just on the pitch but off the pitch as well - the professionalism of Moutinho is improving me as a player as well." 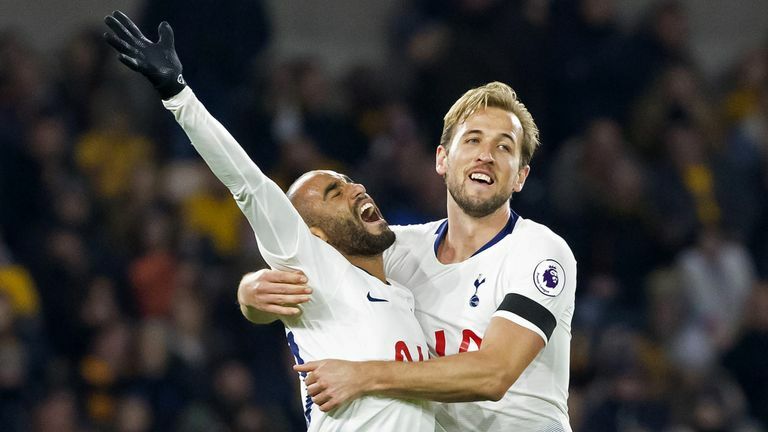 Gibbs-White was praised for his performance against Spurs on the weekend, but Wolves manager Nuno was intent on keeping the youngster grounded. Asked what Nuno said to him after the match, Gibbs-White said: "Not much really, we haven't really spoken about it yet. He knows whenever my time is ready I'll be ready to take it. "He wants to keep me humble and motivated, so he didn't really say much, but he's like that with all of us. "He's a team manager and he wants us all to do well, not just individually. I think that's where we become as a team and push forward as a team. "He's not scary at all, but you can tell when he wants something and you can tell what he wants in training. He'll demand off every single person in training and we'll try and do our best to give him what he wants."